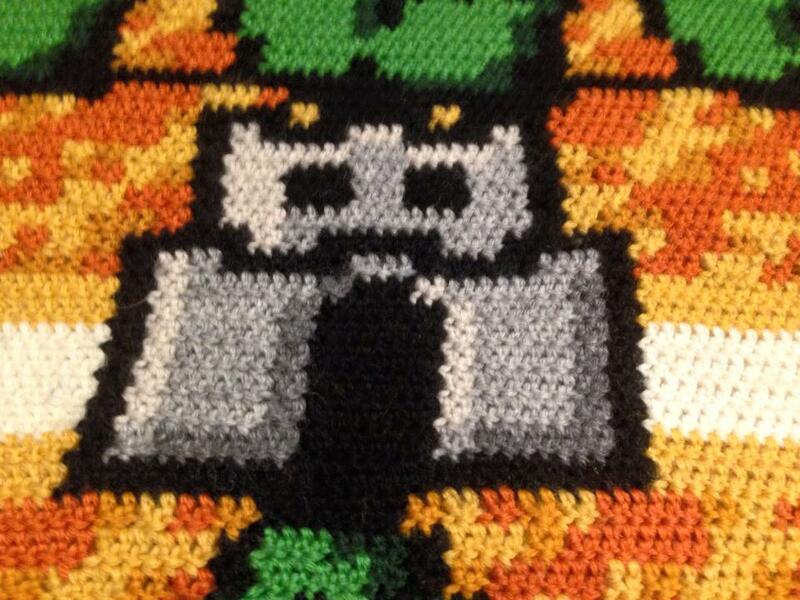 Crocheting is an easy(ish) skill to pick up – even I can do it. There are some people who truly master crochet and Kjetil Nordin is one such person. 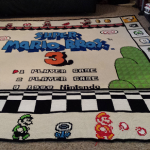 He created this amazing SMB3 blanket. 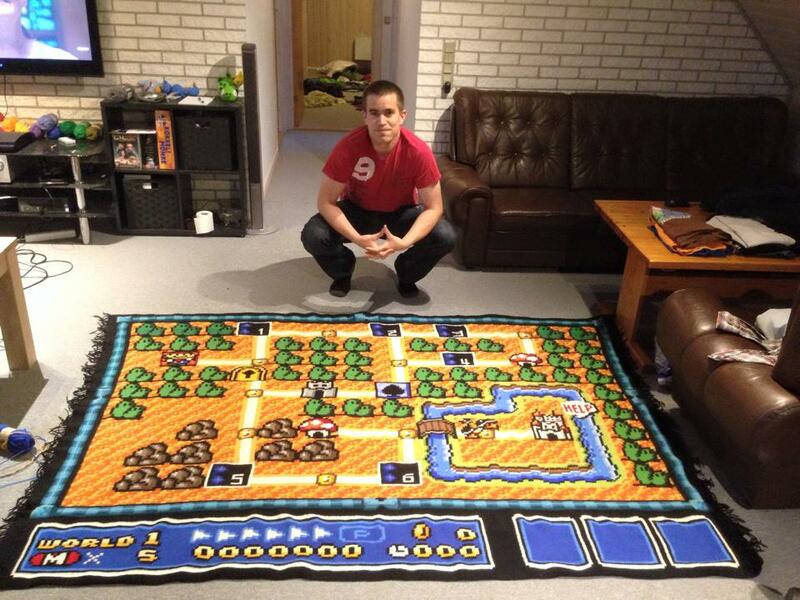 According to his friend (who posted the pictures online), it took Nordin 6.5 years, or 800 hours, to crochet this whole thing. 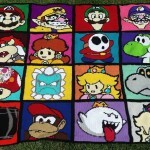 This includes the time spent hunting for perfect yarn colours, and even starting over when one of the colours wasn’t to Nordin’s liking. Wow. I will never have the patience for anything like that – and to *start over*! That truly is perfectionism. 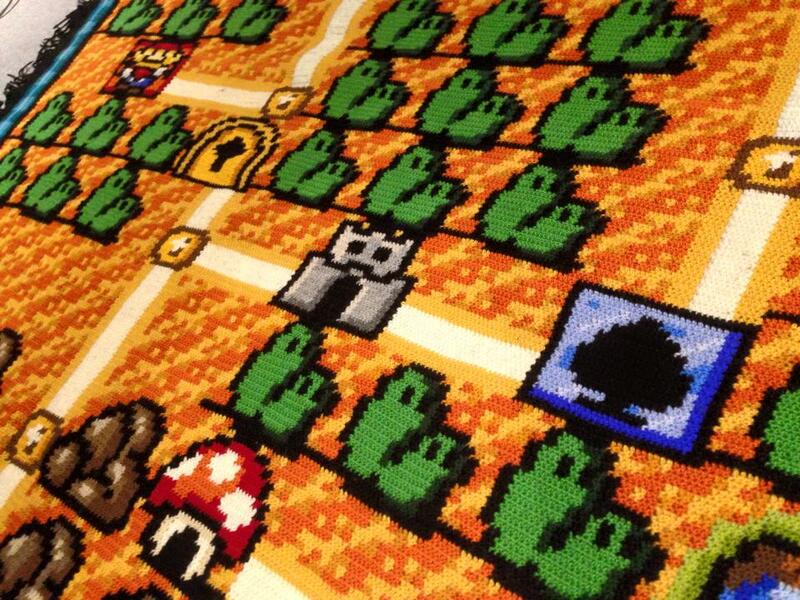 Anyone knows where I can find the super mario 3 map pattern? It looks like he used 2 rows of 2 single crochet per pixel. 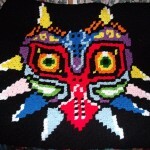 I’ve done it before using 1 single crochet = 1 pixel with some success but it looks a little choppier (and smaller) than his beautiful results. 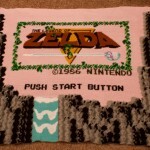 Wow, new to crochet but …wow beautiful work….